My little village of Saussignac is located 80kms east of Bordeaux and 20kms west of Bergerac, in the heart of wine country in South-West France. A majority of the vineyards surrounding the village are biologique (organic) but my neighbours at Château Feely have gone one step further and become a biodynamic winery. When South-African couple, Caro and Sean Feely, first met in the early 1990’s, they discovered a shared passion for wine. Sean’s grandfather had been a winegrower and at the time, Caro was sharing a house with a Master of Wine. Their dream was to become winegrowers in South Africa but a job opportunity saw them head to Ireland instead. The close proximity to France meant it wasn’t long before they decided to visit the Dordogne. Like many foreigners who visit this part of the world, it was a coup de foudre (love at first sight) and they made the decision to become winemakers in France. It took another eight years of saving before Caro, Sean and their two young daughters were able to turn their dream into reality. The reality of daily life for foreigners in France can be a challenge though, and most of us living here have had experiences (some comical and some stressful) not too dissimilar to what Peter Mayle wrote about in his book A Year in Provence. Caro has written about the highs and lows they experienced in her books Grape Expectations, Saving our Skins, and A Glass Half Full . Shortly after buying the property, Caro and Sean decided to convert the vineyard into an organic operation. They started the 3 year certification process in 2006 and saw the benefits to the land and grapes flow into higher quality wines. In 2009, they decided to go a step further and follow the principles of biodynamic wine growing, which required another 3 year certification process, but they believe this has further enhanced the quality of their wine. I particularly like their white wines Sincérité and Luminosite. And if you’ve ever dreamt of owning a vineyard but don’t want the financial commitment, then you can participate in their Vine Share, where you can rent some vines for a year that have your name on them. You’ll also have the opportunity to participate in the annual harvest picking grapes and joining in the celebrations at the end of the day. Over the years, Caro and Sean have built up a business that now includes a wine school, wine tours and two ecological gîtes (holiday accommodation), which are very popular with people who also have a passion for the environment and nature. 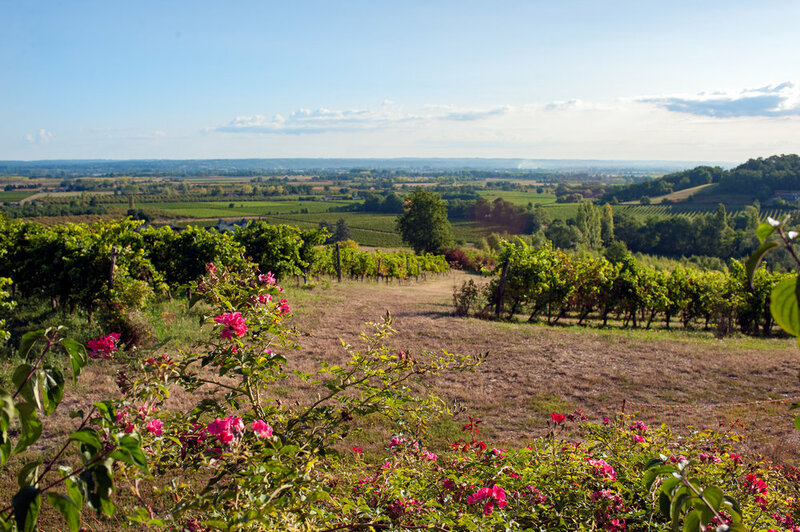 If you’re interested in developing your wine palette, would love to walk through beautiful vineyards on a walking tour, or are passionate about the environment and would like to stay in an eco holiday home, then take a look at Chateau Feely’s website to find out more. Have you ever been on an all girls' trip or tour?